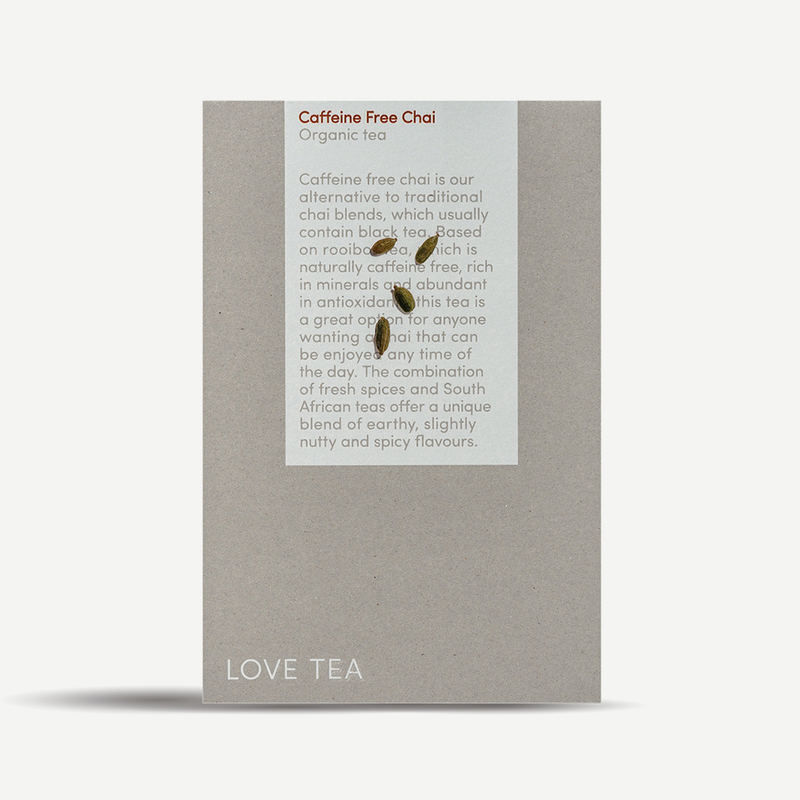 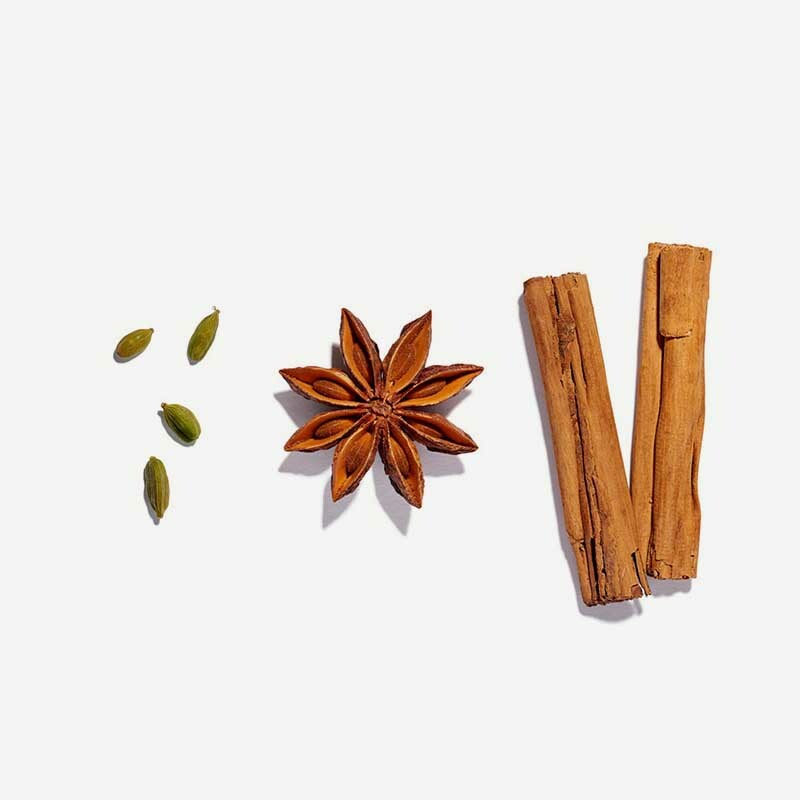 Caffeine free chai is our alternative to traditional chai blends, which usually contain black tea. 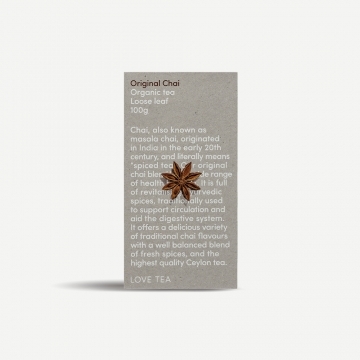 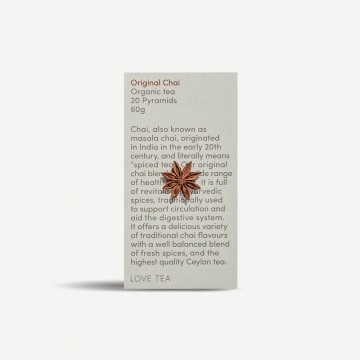 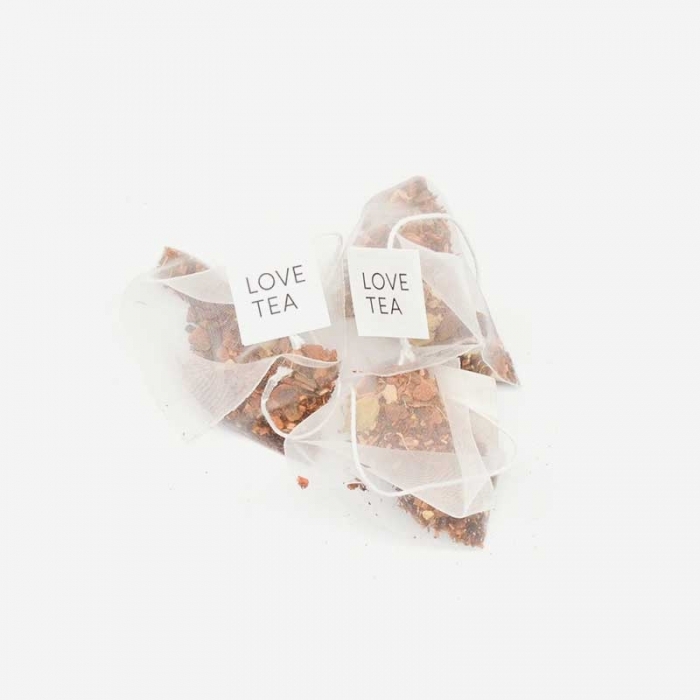 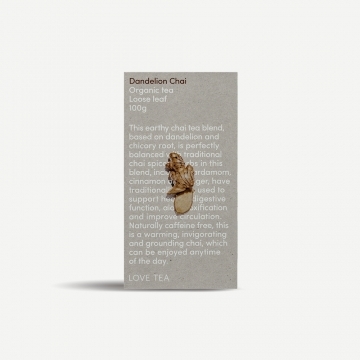 Based on rooibos tea, which is naturally caffeine free, rich in minerals and abundant in antioxidants, this tea is a great option for anyone wanting a chai that can be enjoyed any time of the day. 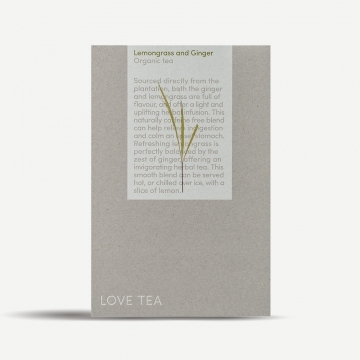 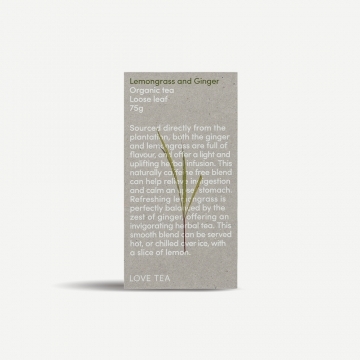 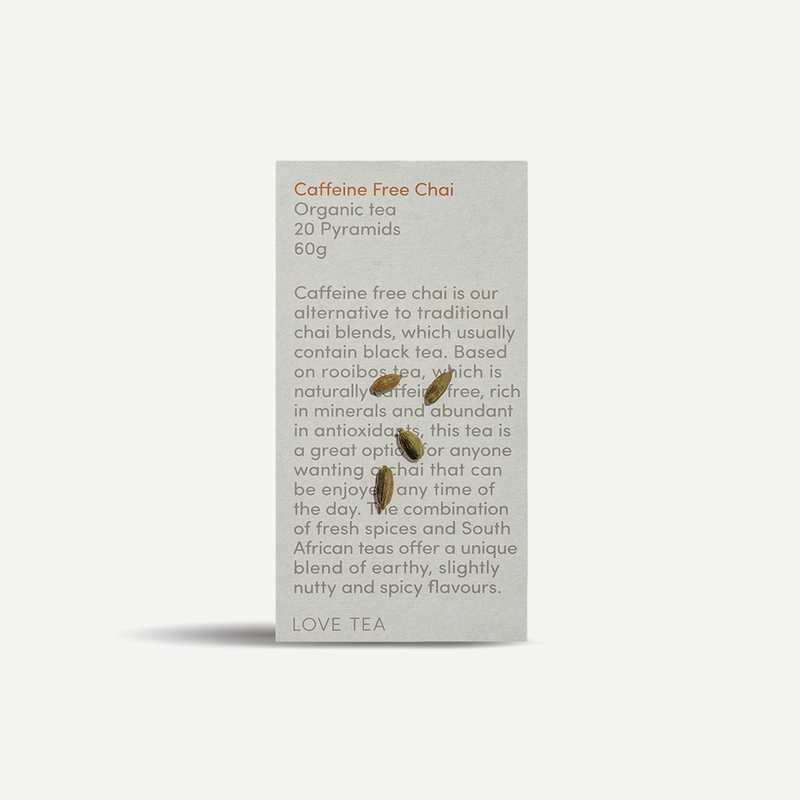 The combination of fresh spices and South African teas offer a unique blend of earthy, slightly nutty and spicy flavours.